Slot players that know Aristocrat games will probably be familiar with Queen of the Nile 2 slot. It is the follow up to the legendary Queen of the Nile, which was the inspiration for IGT's Cleopatra game. Aristocrat has released Queen of the Nile 2 online at a select number of casinos and its reception online has been reasonably positive so far. Queen of the Nile was a slot that was certainly ahead of its time when released but does feel slightly dated nowadays so a sequel release was definitely due. If you have played Queen of the Nile 2 then you will know that it has a fairly familiar look and feel to other Aristocrat slots like the oriental-themed Choy Sun Doa and feline friendly Miss Kitty . As far as I can make out this is deliberately done by Aristocrat so that players can easily identify with their games. 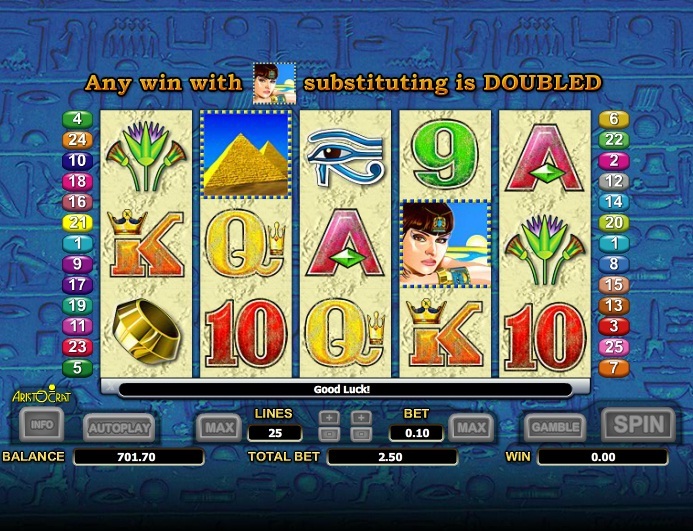 Queen of the Nile 2 is a low volatility slot game, which means you will get into the bonus round more frequently, although the rewards won’t be as high. I sometimes prefer this as there is nothing worse than a long streak without a win. To get into the bonus round on Queen of the Nile 2 you need to hit 3 or more of the pyramid scatters on any of the reels. You then get to choose your bonus, which is free spins at a multiplier of between 2x and 10x. The lower amount of free spins you choose the higher the multiplier. You can get choose either 5, 10, 15 or 20 free spins. The great thing with Queens of the Nile 2 is this feature can re-trigger, giving you even more free spins. Queen of the Nile 2 is an easy game to play and you can’t go wrong with Aristocrat slots, but they can get a bit mundane after a while. 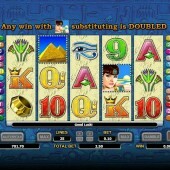 If you enjoyed the original Queen of the Nile slot then you will probably find yourself loving this sequel. However, there is more to slots gaming out there. Don't restrict yourself.